I was worried because the price was low, but I could use it without any problems. I want to buy again. This review is about item#40388144. I think that adhesion is stronger than general vinyl tape. 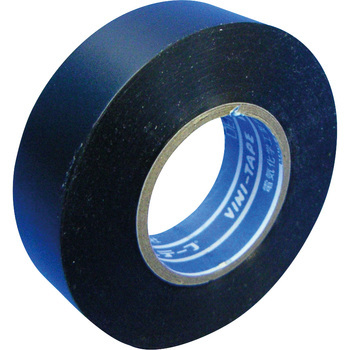 I often use it as a black tape because it has color and is erased. I want to repeat it again. It is used when bundling a harness when wiring a car or a motorcycle. In general vinyl tape it sticks over time, but this product is hard to happen. Cospa is good and it should be a little more sticky think. It is used for bar tap terminal processing of sports cycle. It is easy to use without stickiness even if time passes. good. It is repeat purchase. It is always yellow. I understand it as my work in the maintenance at a later date. This review is about item#40388196. It is a repeater. It is reasonable to stretch and bind easily. There is no unnecessary adhesion remaining afterwards. The home center is not easy to handle, even if there is cheap 110 yen. I can not see anything less than 100 yen. It is useful because it is different from the vinyl tape for insulation purposes. I have used it for many years. Basically it can not be used for insulation, so be careful. It is because the thickness is thinner than ordinary vinyl tape. The use for insulation is different. Production of vehicle harness · Navigation · Unity of audio harness It is very handy when extra length processing is done. Since the adhesive strength is weak, a place where the temperature of the engine room etc. rises relatively Use may be peeled off. Paste We recommend a reliable work at the start of winding and winding. Both workability and usability are excellent. At the car supplies shop more than double the price Because the same things are on sale, Monotaro san is recommended. I use it as an end tape to stop the bicycle part tape. After a period of rolling it will loosen or get peeled off in the heat Solve if you rewind newly, solve anything, do not worry about using the amount as it is cheap. OK for cable fixing under bar tape, less adhesive residue Cleaning with organic solvent is also easy. Recommended if 3M plastic tape \ 350 / 3m think expensive! I used it to roll the RCA cable. It is a material different from ordinary vinyl tape. I can wrap firmly because it stretches well. Stickiness is also a good feeling. Although I tried using each color (black gray white red green yellow), black can be used without any problem with less adhesive residue, but other colors already remain adhesive at the time of opening, red and green are particularly terrible. It is the same color as the genuine product, the nori's attachment is also well, I am satisfied. It is also attractive that the price is cheap. I have been using it for 2 years since purchasing, but I use it even if it is cheap. The function is obviously different from PVC. It does not become sticky crispy, it is durable, I think that it is convenient for ease of use. When thickness is required by insulation / protection, PVC is wound first and it is rolled up to finish. When I kept it for a while without using it, the stickiness became severer and it became useless. I am extremely satisfied with the same tape as the tape wound in a genuine harness. However, I thought it would be useful if you could tie a piece of tapes a little more strongly.